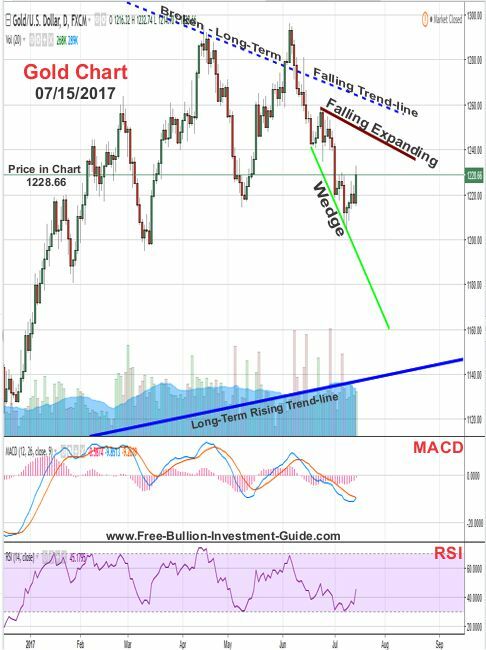 Last week’s post was about how gold and silver's prices had started to bounce up after their dramatic price drop around the fourth of July. 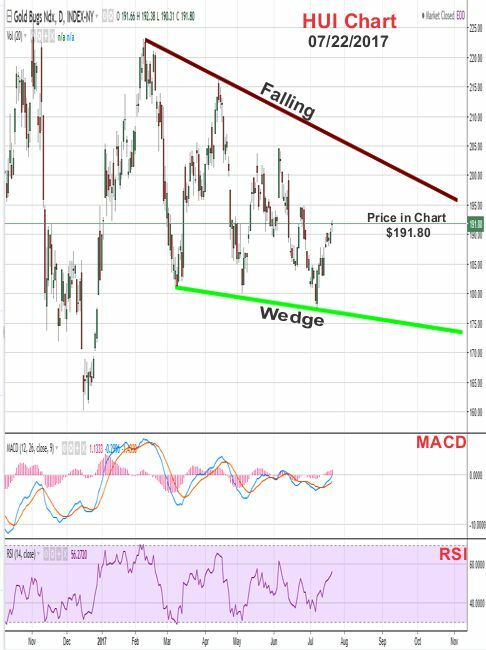 In that post, I showed you some new positive technical patterns that had formed in their charts, I wrote that it may take more than a week for the metals to confirm those new patterns, but I stand corrected; it took less than 5-days. 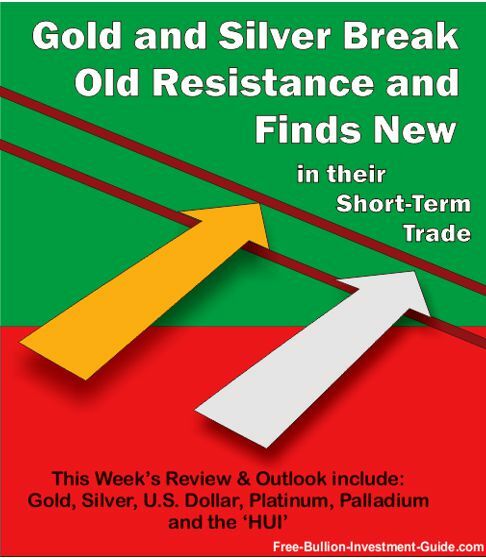 This week’s review and outlook will include Gold, Silver, U.S. Dollar, Platinum, Palladium and the ‘HUI’ – Gold Bugs Index. 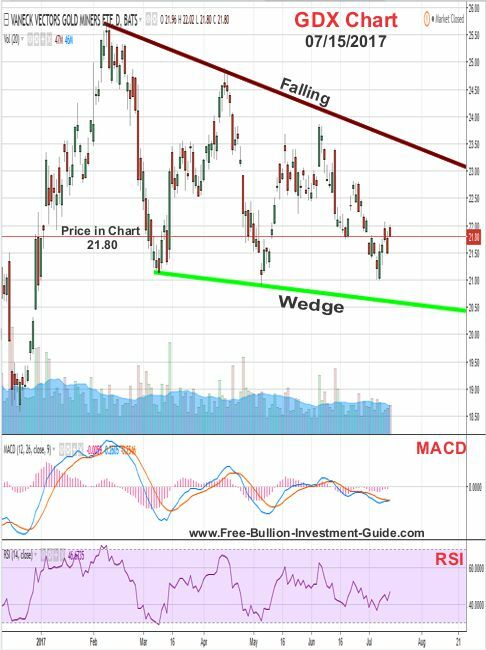 Last week, the chart below was posted, in my outlook for silver, I only expected silver to test the resistance line of the falling wedge, I didn’t expect it to break it. 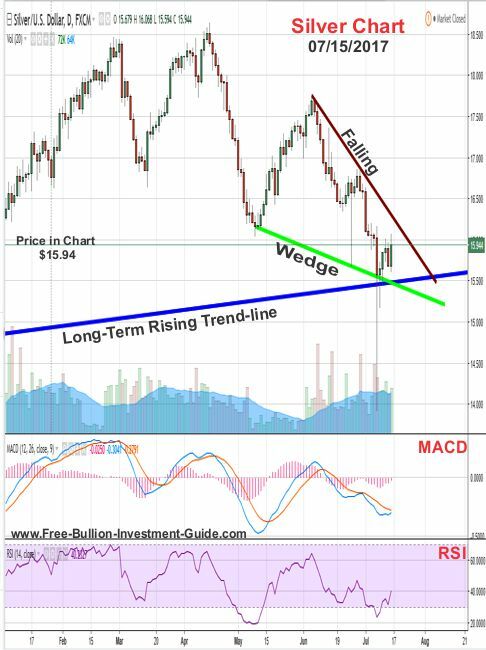 As you can see, silver broke above resistance and in the process confirmed the falling wedge's technical pattern. 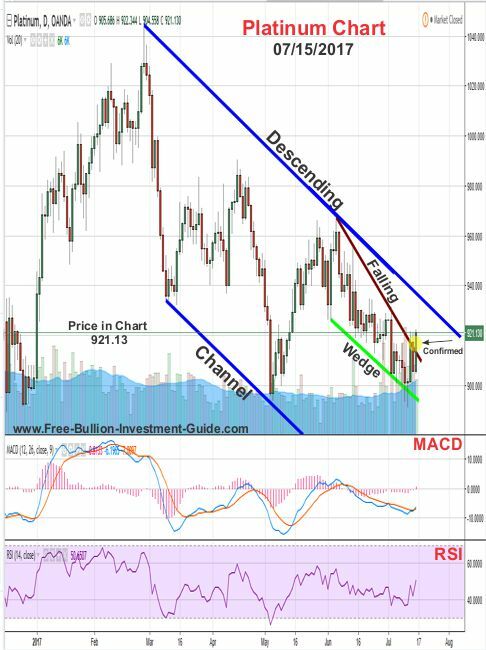 Last week, I posted the following commentary and chart for the U.S. Dollar. 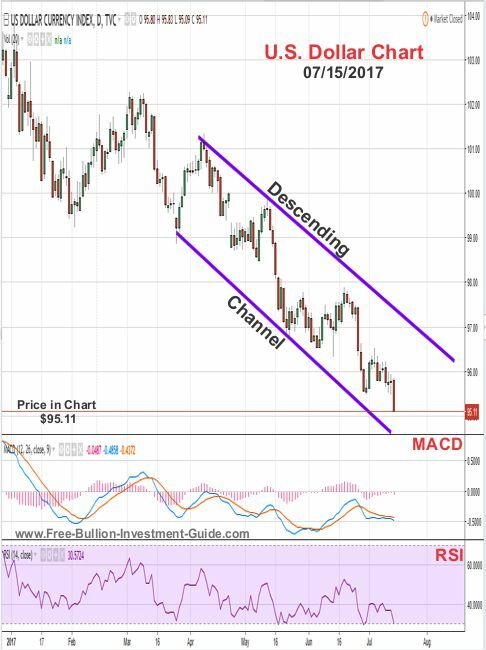 When it breaks out of this (descending) channel a clearer future can be given for the dollar because it will be an indication that sentiment has changed; either for the better or the worse. 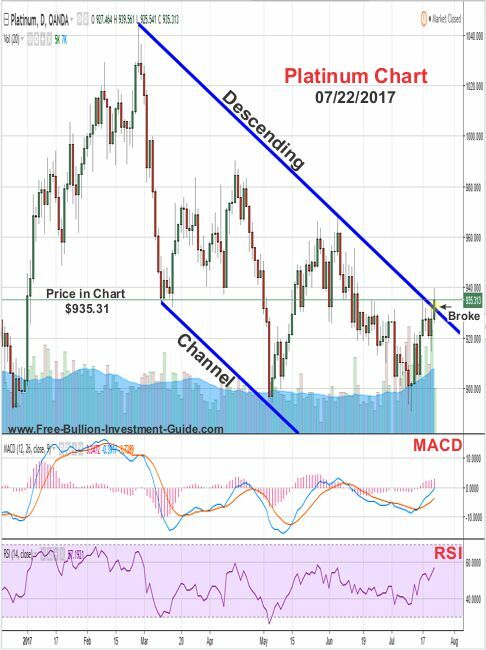 As you can see in the chart below, last week, the U.S. Dollar broke below the descending channel, and its future is not looking bright. 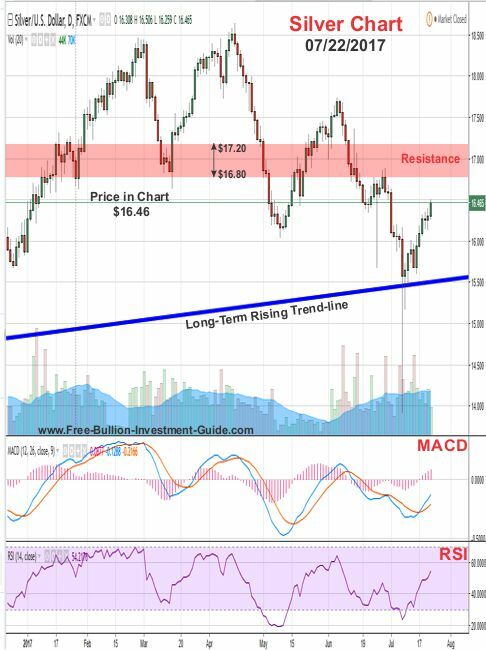 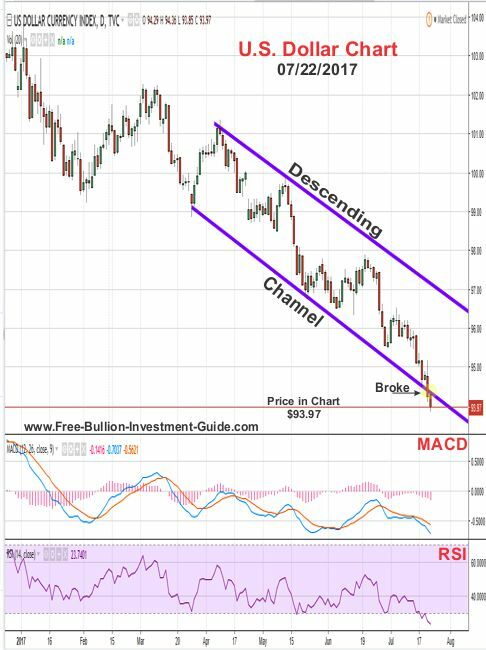 However, for the immediate future, the dollar looks like it may be bottoming out, its RSI and MACD are moving at the bottom of their indicators and the dollar has been moving consistently lower for almost two weeks, so some sort of upside correction is expected. 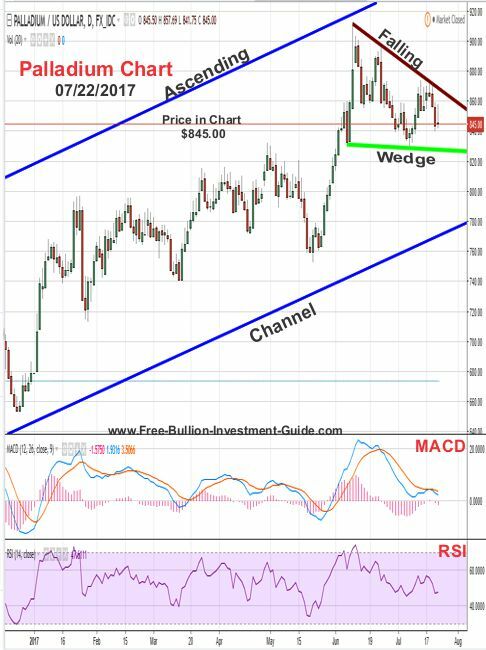 “…in the chart below, Platinum did confirm the positive Falling Wedge, but it is still trading inside the Descending Channel. 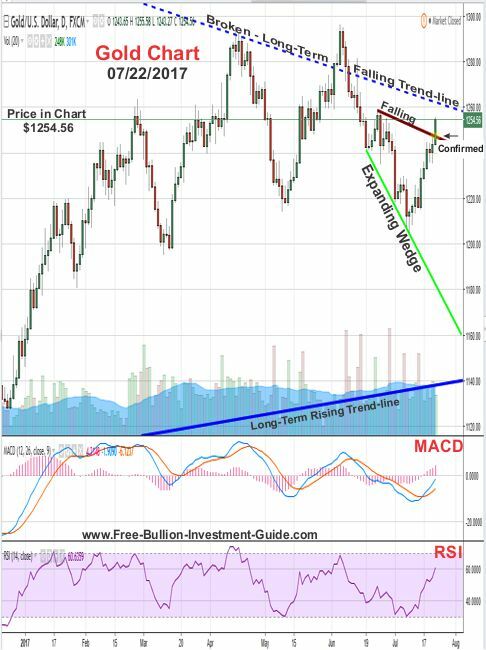 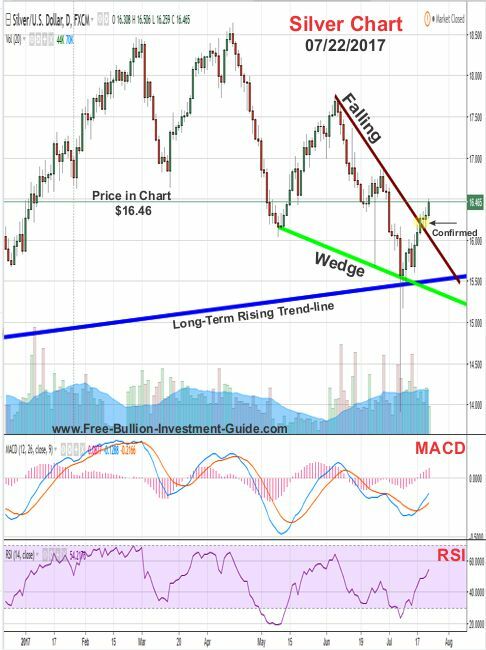 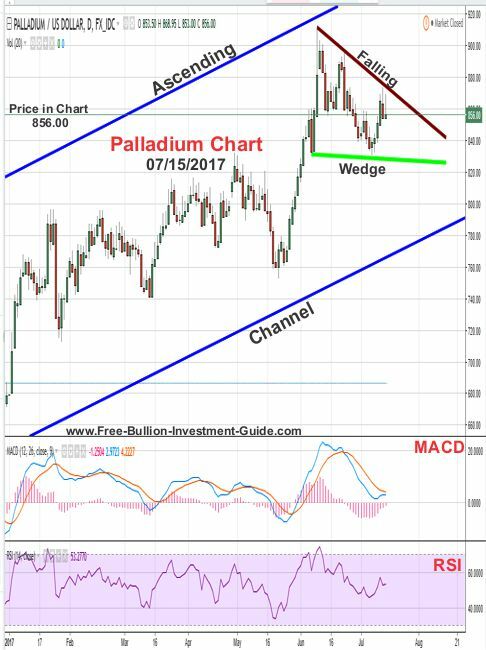 For palladium, the chart below was posted and I simply stated that the chart had formed a falling wedge and that sometime in the future the price of the precious metal is expected to break above it.